A coroner has described first aid training at a West Yorkshire education authority as "haphazard" after a six-year-old pupil choked to death. 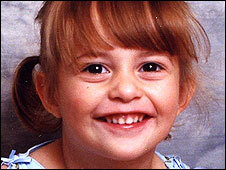 Shannon Hennessey died after a piece of sausage lodged in her throat at Redhill Infants in Castleford in November 2006. Recording a verdict of accidental death, coroner David Hinchliff said everything had been done to save her. But he is to urge education chiefs to review training after hearing that not all staff were qualified in first aid. Of the nine staff members involved on the day, six were qualified in first aid, the inquest was told. Mr Hinchliff said he was satisfied there were sufficient levels of supervision and first-aid training at Redhill Infants, but expressed his concern that it was not compulsory in all schools. He stressed that everything was done to save Shannon's life and agreed with an assessment that she received an "unbroken chain of continual care". However, he added: "The issue of first-aid training seems to be a bit haphazard. "I intend writing to the education authority and suggest to them they may like to look at first aid training." Shannon collapsed in front of her friends as she ate sausage and mashed potato on 8 November 2006. The court heard that teachers, dinner staff and paramedics had tried to clear the girl's blocked airway and revive her, but she was pronounced dead shortly after arriving at hospital. A dinner lady who carried out a Heimlich manoeuvre on the youngster had learnt the technique from her husband and was not qualified in first-aid. However, the court was told that she carried out the technique correctly as other members of staff, qualified in first-aid techniques, also tended to the stricken youngster. After the inquest, Shannon's parents, Kevin and Toni, said: "We would like to thank everyone at the school, the paramedics and the hospital staff who tried to help Shannon on that day. "Shannon was our beautiful little angel and we miss her dearly. "This has been a very difficult and devastating time for us. Shannon has left a very big hole in our lives which will never be filled. "We still cannot believe that this has happened even after all this time."